A stunt rubber gun used by Milla Jovovich in Paul W.S. Anderson’s 2002 zombie movie Resident Evil. This 9mm Springfield Armory pistol is model number 1911-A1 and was used by Jovovich in the film as she fought the undead in the underground complex. 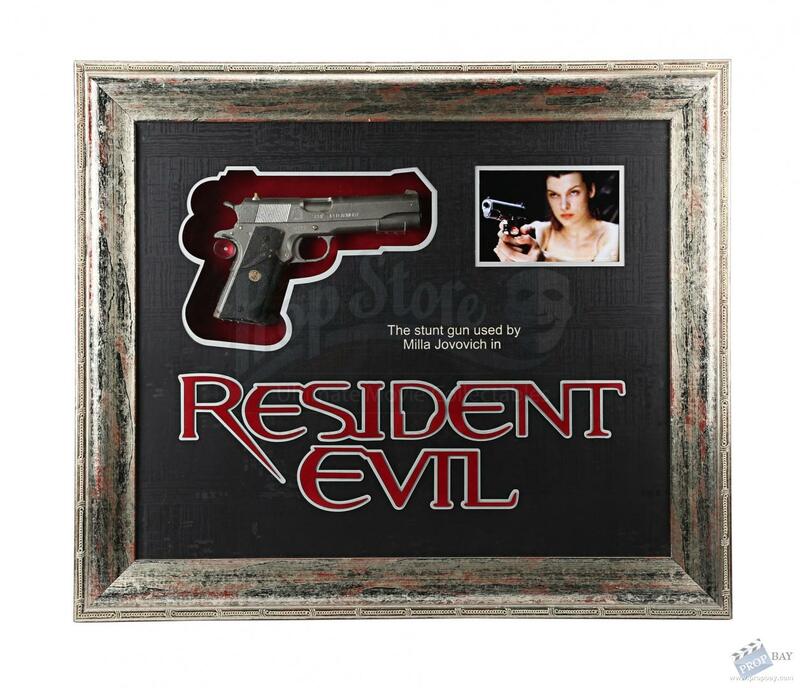 The weapon itself measures 23 cm (9") long and has been set in a custom framed shadow box display featuring a photograph of Milla with the gun and an etched logo. The display has then been framed and glazed in acrylic. Added: 12-28-2018 - Viewed: 173 times.